Our family of six first arrived in Phnom Penh at midnight, and some friends drove us to the house we had rented on our survey trip. It’s a row house — ten multi-story dwellings that are connected, side by side. At daybreak, an orphanage moved in to the house next to us. We shared a wall with them — four stories of walls to be exact — plus a communal covered roof. I didn’t know anything about orphans or orphanages in Cambodia, so I had no preconceived ideas about what it would be like to live next to an orphanage. I would soon learn. There were about forty orphanage children. (Notice I say orphanage children, not orphan children. In Cambodia, there is a difference, but I didn’t know that at the time.) We were never quite sure who was in charge of the orphanage. Three or four adults lived there too, and they helped with the laundry and the cooking. They all squeezed into a house identical to ours, a space that’s typical for a family or extended family here in the city. There were a number of young men who lived there too. I was never certain of their ages, and I didn’t know what their job was, either. They were only there sporadically. But what were they doing there anyway?? The potential for abuse made me nervous. There was a constant flow of international volunteers at the orphanage — another frightening potential for abuse. White people would come for a few weeks, or a few months, and care for the children during the day. They would teach them simple English or maybe some arithmetic. They would play games. The children were readily affectionate with them and constantly climbed all over them. As a bonus, the rich, white volunteers brought with them plenty of sugary candy and treats to dispense to the children. Those declarations gave us pause. How can you promise such a thing?? What makes you sure that you can, or will, without a doubt, return? And doesn’t your statement about being loved betray your own emotional needs, rather than the reception of true love from children in a revolving-door orphanage?? We got to know one volunteer – a college student who wanted to use her summer break to serve somewhere in the world. She signed up with an organization in her own country, but didn’t know where she would be assigned to work until she arrived. Life at the orphanage quite shocked her. She likened it to the book “The Lord of the Flies,” saying that no one was in charge of the kids. The kids were in charge of themselves, and it was mass chaos. I remember one particularly chaotic day. The orphanage had received an infusion of new children. Another orphanage had been shut down, and the kids had been placed with our neighbors. One girl arrived without any pants or underwear at all. With open wounds on her head, and half-naked, she was crying. Apparently the standard of care in the place she had been was even worse than what she would receive next door. That day, the volunteers asked me what was going on. They didn’t know these kids, or where they had come from, and there were no Cambodian adults around to answer questions or help with the new kids. They were on their own. They said this was typical: no one was around, and they had to figure out what to do with the children all by themselves. But I suppose they thought I could help that day, since I lived next door and also spoke English, their preferred language. It wasn’t until Khmer New Year, though, that we realized that virtually none of the children next door were orphans. The entire orphanage closed down for the holiday, which is the most important holiday of the year. No one stayed at the house that week. Not a single soul. All the children went to their hometowns in the countryside, and many of them actually still had living parents. They were not orphans at all. One time I watched as a mom from the countryside left her two children at the orphanage. It broke my heart to watch her do this. She was clearly distraught about separating from her children, but she thought that the orphanage (whose care was free to her) could provide a better education and a brighter future for her children than she could in the countryside. But the orphanage children attended the local public schools, just as they would in their village of origin. The curriculum was the same in the city as in the countryside, with the exception of some English instruction. The main difference was that these kids couldn’t enjoy the love of their parents and extended family, because they weren’t living with them. The orphanage children were constantly touching my kids. Always right up in their faces, talking to them. No respect for personal space. We assumed this lack of personal space was a Cambodian cultural norm. The orphanage children threw their trash on our plants. They threw their trash in our doorway. Their trash took over the area in front of our house. No bags, no bins, just free roaming trash. We assumed this was normal Cambodian behavior and simply tried to clean it up when we could, through gritted teeth. Their trash also expanded onto our part of the covered roof. They stored their beds and hung their laundry on our part of the roof, too. We thought this expansion of territory was also normal Cambodian behavior and tried to bear it. When we attempted to play on our roof with our kids, the orphanage kids watched us longingly. They had no adults to play with them. We felt sad for children who didn’t have any parents (or so we thought), but we also wanted to play with our own kids. And we felt guilty for our conflicting feelings. Sometimes I would visit the orphanage. Inside, it was filthy. The building was brand new when we had both moved in, but their floors were black with dirt, their stairways sticky. The smell of urine and rotting vegetables always permeated those rooms. But through all this, I made friends with two ladies at the orphanage. They spoke a little bit of English, they put up with my ridiculous Khmer, and they were professing Christians. They were very good to me. So out of respect for them and my friendship with them, I have been reluctant to talk about the problem of orphanages in Cambodia. Until now. Why now?? Well, living next to the orphanage had deeply affected my attitude towards Cambodians in general, and not in a positive way. It wasn’t until we came back from our furlough, though, and the orphanage had moved, that I realized just how prejudiced I had become. Our new Cambodian neighbors had children, but they didn’t touch my kids or get in their faces when they talked to them. We could still have pleasant conversations with our neighbors, but for the most part, no one was throwing trash at our door steps or on our plants anymore. Our front area was clean, and so was our neighbors’. We could play on our roof without other people’s trash or laundry or bedding or watching eyes. No longer did we need to feel guilty that we lived in a family unit, and our neighbors didn’t – because now all our neighbors were part of a nuclear family unit or larger extended family. I had projected the behavior of the orphanage kids onto all Cambodians, and I felt bad about my assumptions. Something must be wrong with this system, I thought, so I called Cathleen Jones, founder and international coordinator for an organization called Children in Families, and asked her to have a conversation with me about orphan care. When we met, she assured me that my experience with the orphanage next door was not uncommon, but rather, that it was typical for Cambodian orphanages. She explained how institutional care harms children, and she was also able to show me a better way to care for and educate children, even children at risk. Her answers breathed hope into my soul — hope that I’m excited to share with you in this series. Click here to read Part 2: Is This Orphanage Really an Orphanage? Click here to read Part 3: What Does Children in Families Do? I’ve seen some of those goodbye’s with both the small child and the mother grieving, and wondered why in Christ’s name we were doing this. That “orphanage” was clean enough, but I thought to myself it would be better to have these hilltribe kids in their own families, even if it meant that their Thai and their English wouldn’t be as good. In Chiang Rai we’ve started an after school program for children that I feel much better about. I love the work that Children in Families does. Family reunification, kinship care, emergency care and long-term, small-family foster care are essential components of a holistic approach to addressing the global orphan crisis. And while I agree that there’s no place in that spectrum for the kind of awful institutional orphanage you describe, organizations like ours who provide something of a hybrid — permanent, high-quality residential family-style orphan care — are often caught up in the understandable, yet counterproductive, backlash against anything that looks like an orphanage. Organizations like Uniting for Children, whose resources are featured prominently on the Children in Families website, seem to offer a false dichotomy. By posing loaded questions like, “Should a child be in a family or an orphanage?” they marginalize the work of organizations like ours who are working hard to demonstrate that, done correctly, what would be technically classified as an “orphanage” can also be a family. I appreciate your article, and look forward to part two. Hi John, thank you for reading and commenting here. I haven’t replied till now because I really thought I could get part 2 published sooner, which might hopefully address some of your concerns. (Or part 3 or part 4 . . . it’s turning out to be a much bigger project than I had anticipated.) What with homeschooling (yes, we are still studying!) and regular life and myriad meetings, and the other blog I work on, I have not been able to finish this project yet. But anyway, just wanted to reply here finally and say I’m still slogging through all the details, and I hope to publish something soon. I hope that what I write can be a part of a respectful dialogue on the topic of how to care for orphaned and vulnerable children well, because caring for children is near to the heart of God, and I think we can all agree on that! George Muller. Good man who did the right thing for his place and time. I pray for the right things at this time for the children of Cambodia too. A Good story! Not everybody knows whats happening over there. It’s hard to see that parents give a way there children so easy to an (bad) orphanage. I’m just know 23 years old and still student but I think al lot about these problems. This year I was in Cambodia for the third time. Three years in a row. 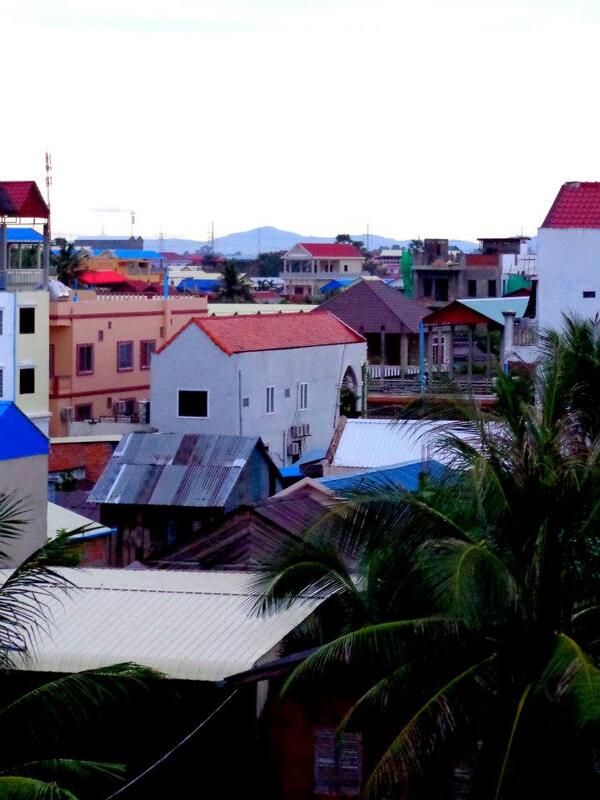 I lived know in a Small village in Kampong Changg for a while. It was a nice village with lovely people! They where chaam. And in that village everybody take care of there own community. I think that’s much better then an orphanage right know. (I know is not easy to manage that) also have seen a lot of bad places in these three years.. I’m waiting for your next story’s and experience. And always hope and pray for the children in Cambodia for a better future! Thank you for reading, Reinier, and for caring about and praying for vulnerable children in Cambodia. And I love what you’re talking about here, that a village can take care of its own community. When people do that, there is no need for orphanages and institutions. What a wonderful world that would be!